April 2: 5 POWER Lessons From 5 Leaders Who Made History On This DAY! Each of the below lessons derived from the journeys of some of the most amazing and inspiring leaders from our history, are sure to impact your mind, and heart, to help you take the right action to achieve every dream of yours. We are aware that all are born with equal strengths and talents but the difference between an ordinary and an achiever is that, an achiever looks deep at one, brings out all the potential and understands his/her purpose. Always remember that we got to trust ourselves; it’s okay if the world doesn’t. Your belief in yourself further forces the world to build faith in you for the kind of actions you raise. The life of Nicholas Murray Butler acts as a guiding element and stands fresh to offer lessons generations after generations for the world to take back a lesson and carry a new dream to outline the purpose of living. 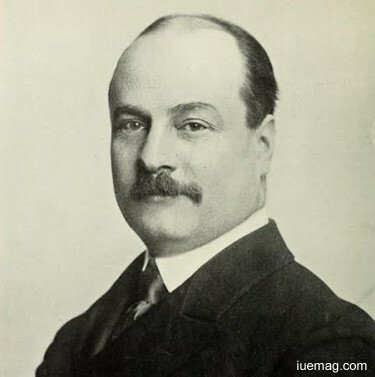 An American philosopher, diplomat, and educator served as the president of Columbia University and the president of the Carnegie Endowment for International Peace. 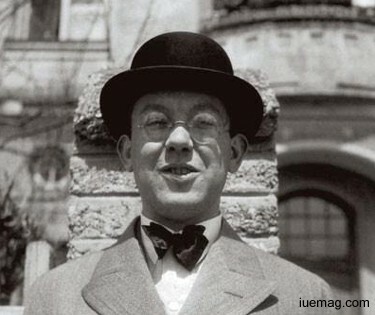 The Nobel Peace Prize winner worked as an educator, an adviser to seven presidents; the thought provoker spoke of the embodiment of the international mind and peace, advocating it and promoting it. Value of your achievements gets doubled when they spread their wings to help the society. This pushed him to reform the realm of education and give it a complete positive touch that helped a lot of others in the world. The food tends to be tastier when the degree of your hunger has reached its peak. The logic remains the same in our lives too, but how we apply it, is what makes the difference because we tend to take things for granted when we get things easily. When every crave of yours is felt and the sense of desire is valued, then the path you take towards success stands gleaming; the success you’ve got, gives you happiness that is far beyond the happiness that a million dollar can give you. 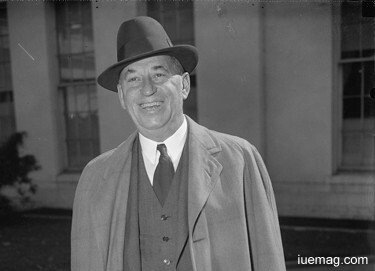 The founder of the Chrysler Corporation, Walter Percy Chrysler was a man who relished every step he took and every action he put forth to win his life. His every attempt to make his life purposeful was reinforced with his attitude of ‘living to make a difference.’ He started his journey up the progressive ladder as a sweeper to machinist to plant manager to head of GM’s Buick division; this is perseverance isn’t it? The lion within him waited to roar out success and eventually marked the creation of one of America’s Big Three automakers along with General Motors (GM) and Ford. Chrysler’s business strategies and analysis got him reputation and position. Courage is a quality which skins every achiever. It is a battery to boost the willpower to win. The courage in you stabilizes not only the inner urge to succeed but also helps you survive single handedly throughout your journey. Embrace yourself with this magical entity which develops wisdom and strength in you to define ways for you to reach anywhere in the world. Courage is the combination of determination and willpower. 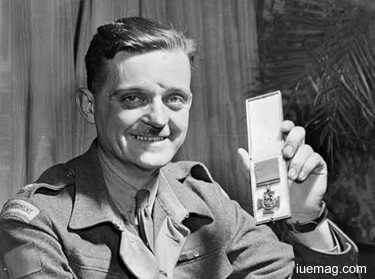 Brigadier-General Paul Triquet , a Canadian recipient of the Victoria Cross- the greatest award in British and Commonwealth forces redefined courage and used it mainly for succeeding. Triquet ranked as a captain and grew up to the rank of brigadier-general. At 17, he joined the Royal 22e Regiment; his skills of figuring out tactics and leadership abilities to gain everything possible to resist the counter attacks which held him high professionally. Awards don’t come to you just like that. It had cost dedication and demanded the feel of greatness to be incorporated into the deeds. His interest in military training developed from a very early age. This desire to multiply success never stopped even after retiring from his army life. He started working as a district sales manager for a forest products company. It is definitely a ‘great deal’ when you succeed but the question is ‘will you be able to sustain the success you have achieved?’ You got to stabilize your goals and work constantly, climbing up the ladder of growth. Your attempts to take a step up act as a guideline for a lot of beginners to start and found their growth. Never forget that whatever you do reflects you entirely. Sir Jack Brabham is one such example who gained success by discovering his interest, turning it into passion and investing hard work. 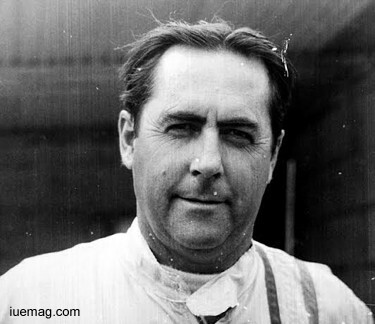 An Australian racing driver and Formula One champion was the founder of the Brabham racing team. Brabham who was a flight mechanic, running a small engineering workshop grew up to start racing midget cars. He expanded his ideas and learnt ways to improve his business in order to retain the top position. He built racing cars and contributed to the design of the mid-engined cars. Brabham started right at the age of 12 to work on his interest by learning how to drive a car and at age 15, he began to work as a mechanic to fund his engineering studies. Sometimes your interests become your identity which can lead you to a successful life. Keen interest awakens a burning passion that lights up your life and eventually spreads as a bonfire to gift this glint as lessons for the world to follow. How often do we respect what we like? We take them as a lateral line and rarely include them to our primary consideration, which has to be avoided. The fact that you have a hope to succeed proves that there is something that you are passionate about, that can take you through the path of success. Jan Tschichold , typographer, book designer, teacher and writer always stuck to his interests and ideas and focused on transforming them as aids which help him earn success. Initially he concentrated purely on learning completely the essence of writing while assisting his father. He never let any opportunity easily go away from him instead, he grabbed them and worked on them. The aspiring artist’s strong desire to become one remained bright even after his parents decided his profession of an illustration teacher. During his work, he developed interest in calligraphy and started practicing it along with ornamental script and writing. At 17, he quit his teaching profession and began his typographic studies. His passion influenced him greatly and became a reason for the world to remember him even today. You may get all the essential lessons and guidelines but it is you who is supposed to make an attempt to succeed. You are the one who has to plan and act accordingly to live a life which you always dream of. It’s time you rise up and start NOW!